You may have heard on the news, or seen articles in the press, about the Government giving more power to local people through the Localism Act. This Act has introduced new permissive rights for local communities to prepare a Neighbourhood Plan. A Neighbourhood Plan can establish general planning policies for the development and use of land in a defined neighbourhood area. The plan might specify, for example, where new homes and offices should be built, and what they should look like. The plan could also set a vision for the future, and can be detailed or general depending on what local people want. The plan must still meet the needs of the wider area as set out by the Local Planning Authority – in our case this would be the Bedford Borough Council’s Local Plan. 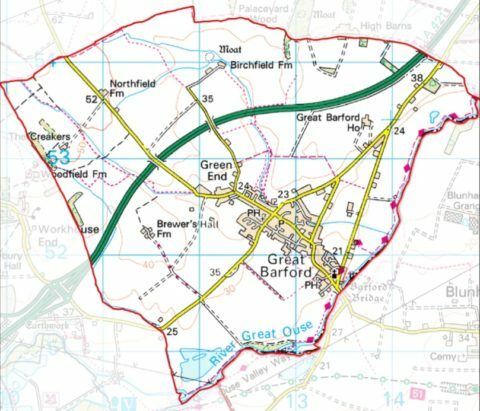 Well, your Parish Council is taking the first step in preparing a Neighbourhood Plan for the Parish of Great Barford. Through a Neighbourhood Plan our community would be able to influence the planning for our village. The process will take around 18 months and will follow a number of steps through to a final referendum. The Committee formed by residents are currently preparing the Neighbourhood Plan. The Committee will identify the issues to address in the Plan, develop a vision and objectives, and carry out consultations in our community. That’s easy, we generally need volunteers to join the team. You may have a particular expertise that you feel would be useful, a strong desire to shape the future of our village , some spare time to carry out research or deliver forms around the village. Your involvement can fit the time that you have available and would always be of value to the development of our Neighbourhood Plan.